UGE NEWS: Welcome to CUHK! 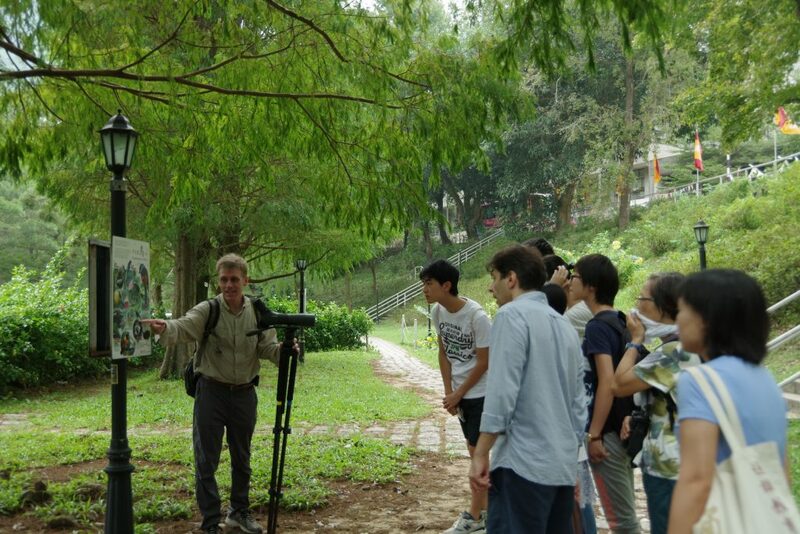 We know that you are staying in CUHK for 10months and will give us a series of inspiring lectures in both “In Dialogue with Nature” and Area C in UGE course. Can you give a short introduction of you to all students in CUHK? Prof. Davis: First of all, let me say thank you for the welcome and thank you to everyone especially here in the Office of University General Education. Everyone in CUHK I just found to be very welcoming since I arrived in august. To characterize myself, I am a historian of science and environmental historian. I hold the R. Mark Lubbers Chair in the History of Science at Purdue University in the United States. But currently I am a Fulbright Scholar here in the Office of University General Education at CUHK. My research has taken a couple of different directions. My most recent book is called Banned: A History of Pesticides and the Science of Toxicology(click here to access CUHK lib ebook), that’s about the science and policy regarding pesticides in United States. But recently I expanded that research to include global perspective. I am very interested in what happened beyond the borders of United States. UGE NEWS: Why are you interested in the history of science? It seems that to a lot of people, science is all about technological advancement. Prof. Davis: That’s very interesting because particularly when we study science we focus on the cutting edge and the research of the past year or two, or maybe five years at most. But when you consider the history of science you realize that the history of science and the relationship between science and society is much deeper than the past five years. It extends decades and centuries actually. So there are still messages from reading classic texts in history of science – reading from Charles Darwin, Rachel Carson, James Watson, Not to mention Galileo and Newton. UGE NEWS: To you as an environmental historian, what do you think about the role of science and the relationship between science and us? Prof. Davis: I think each of us has a relationship to science. Science and the development of scientific ideas influences us, whether we are aware of it or not. And whether we choose to be scientists or doctors or engineers, we are influenced by science and particularly science policies. And I think all of us need to learn to manage the new scientific information in our daily life. The way we manage that is through the choices of consumers and through our choices as voters. So whether we choose to be scientists or not, I think science influences us and our daily lives. UGE NEWS: So is it the central theme of your UGC course Disease, medicine and society? Prof. Davis: Yes, it is. That’s one of the central points. Basically that course has two central themes. One theme is that disease has played a profound role in history, going back to the Bubonic plague and continues right up to the present. Another significant theme argues that the diseases in present in the world have long histories insofar as there are any number of emerging infections, and re-emerging infections, malaria, yellow fever, influenza, these diseases have a long relationship with our society. And in a very similar way, whether we choose to be doctors or actually focus on medical sciences, we are influenced by the ideas and by the new discoveries of physicians all the time. UGE NEWS: We know that you are going to teach In Dialogue with Nature in the coming semester. What do you feel about the course? Prof. Davis: I am really looking forward to teaching In Dialogue with Nature. I think the readings and structure of the course are an ideal introduction to the relationship between science and society. I think it is an incredibly invaluable course and I really look forward to hearing students’ perspectives on some of the classics work from the history of science. In a lot of ways that I think the course like In Dialogue with Nature is perfect because it gives us an opportunity to think about the role of science in our daily life, but also in a broader intellectual development: What is the role of science in the society? And how do we, as individuals, relate the science and how the science influences us? So I think all these issues by reading classics texts in a course like “In Dialogue with Nature” really come to the fore. UGE NEWS: Bird watching itself actually is a real dialogue with the nature! You organized a bird watching trip for our students last month and they enjoyed so much. Why are you so keen on bird watching? Prof. Davis: It matters for several reasons. One is that birds serve as “sentinel species”. What I mean by that is that bird populations give scientists an index to the health of the environment. If bird populations are strong, it is a good sign that environmental quality is strong as well. So I think a number of environmental scientists and biologists monitor bird populations as an index to the health of environment. One of the arguments Rachel Carson made in Silent Spring is that along with the notion that birds serve a guide to the health of the environment, bird watching is a way of connecting with nature directly. So it is another way of appreciating the world around us. And at a place like CUHK, we don’t need to go far because the campus itself is heavily forested and there are really strong bird populations right here on campus. 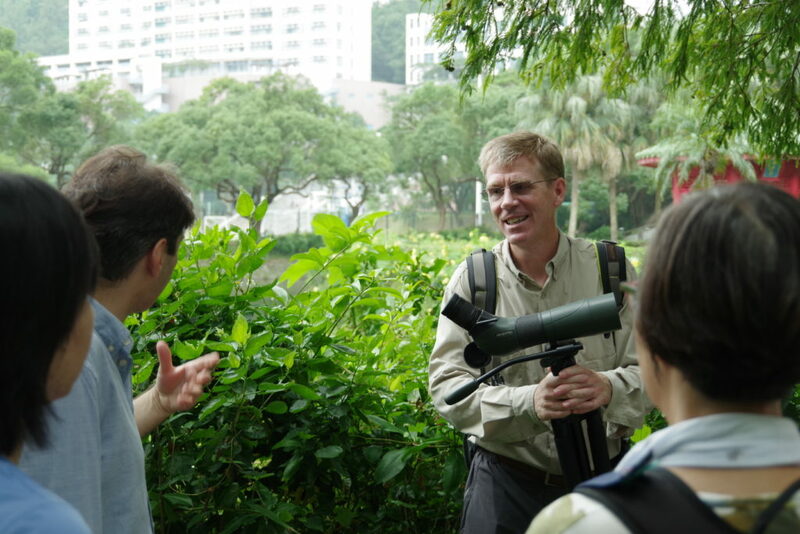 I believe that discovering birds and discovering the places where to study them has given me much deeper appreciation of Hong Kong. 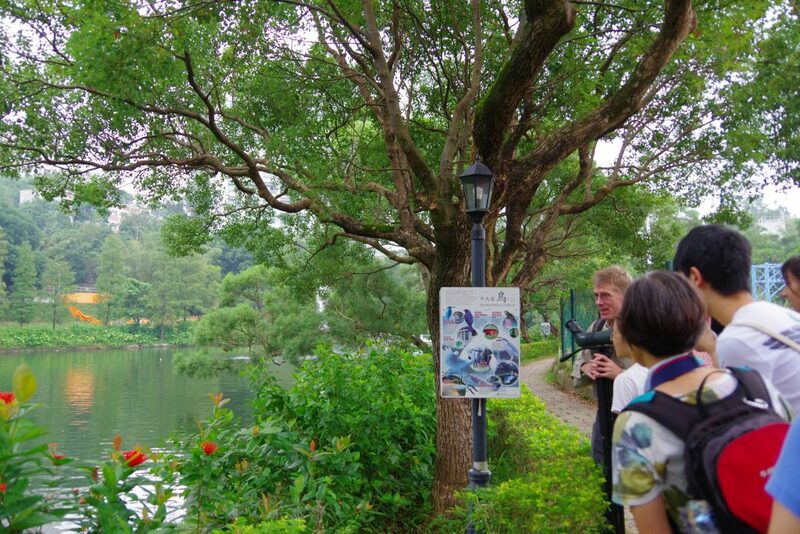 Hong Kong is famous because it has two so-called important bird areas in the New Territories: Mai Po Nature Reserve and Long Valley, but there are many other places to study nature near the city. UGE NEWS: It sounds special to me as people a lot of time refer Hong Kong as a cosmopolitan city, but seldom focus on the beauty of nature here. Prof. Davis: That’s a wonderful thing. Here it is this world famous cosmopolitan city and yet it is also a place that incredibly rich in diversity of birds and not just birds, butterflies and insects and many other species as well. UGE NEWS: In your observation, is the climatic change affecting birds as well? Prof. Davis: Certainly my impressions of bird populations in the US, where I spent most of my life studying birds, are very disturbing. Over the course of over the past 40 years of bird watching, I am struck along with many other bird watchers that bird populations are declining rapidly and I think to some extent science support this as well. It is not just in the US, in Europe, in Asia, all over the world the bird populations are in decline. But the reasons are complex and multi-factorial which is why I hesitate to point to climate change or land use patterns or other factors that reduce populations of birds. But it certainly seems to be the case bird populations are declining and it speaks the health of the environment. 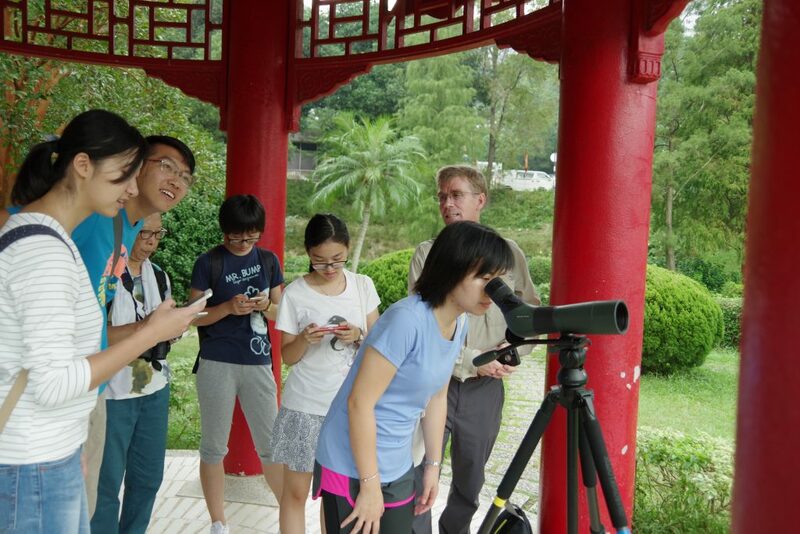 UGE NEWS: Will you organize another birdwatching trip in the coming semester? Prof Davis: Yes. I hope to plan a birdwatching trip in association with not just my session of in dialogue with nature but all other sessions. And have the opportunity to appreciate the way that the messages of Silent Spring still apply to the world today.